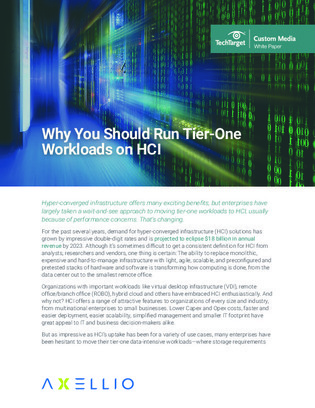 With regards to moving tier-one data-intensive workloads to hyper-converged infrastructure (HCI), enterprises have largely taken a wait-and-see approach, citing performance concerns as the gating factor. Fortunately, new HCI solutions that offer optimized hardware and software for I/O-intensive workloads are emerging—aiming to resolve the hardware imbalances and compute, storage, and networking bottlenecks of previous generations. Continue reading for more on these new HCI options, which provide better performance while maintaining HCI’s historical core benefits for I/O-intensive tier-one workloads.